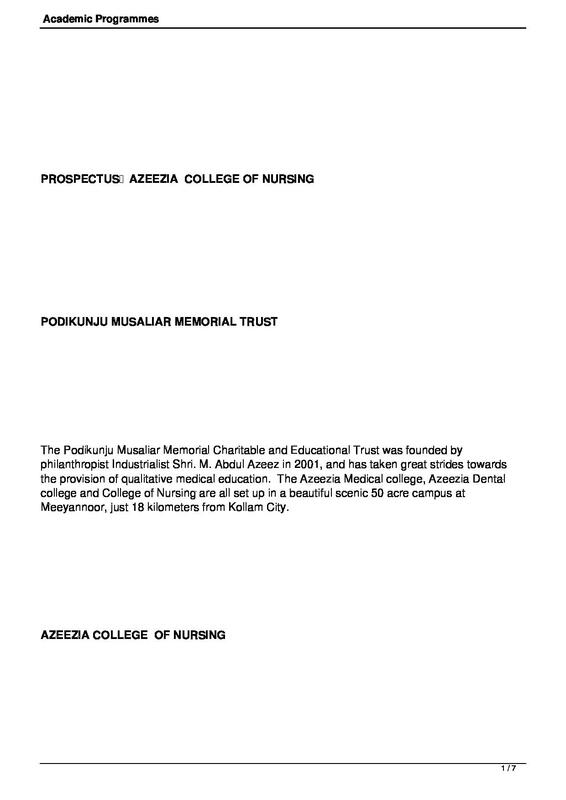 Azeezia Nursing College is the pioneer Institution in the field of nursing education. 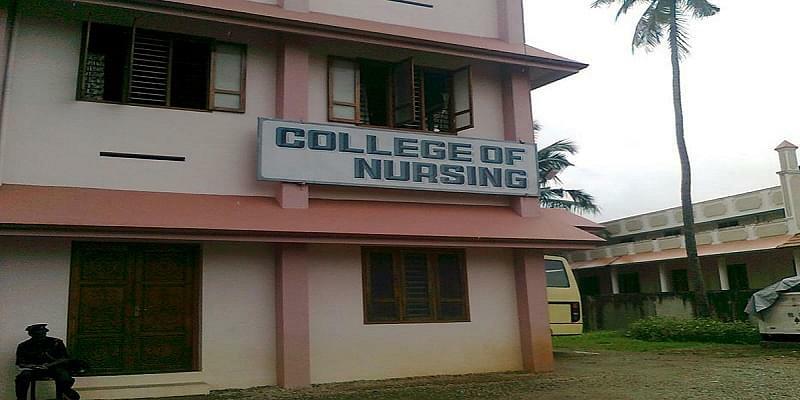 It is a self finance college run by the Podikunju Musaliar Memorial Charitable and Educational trust.The college is approved by the Government of Kerala, the Indian Nursing Council and the Kerala Nurses and Midwives Council, and affiliated to university of Kerala. 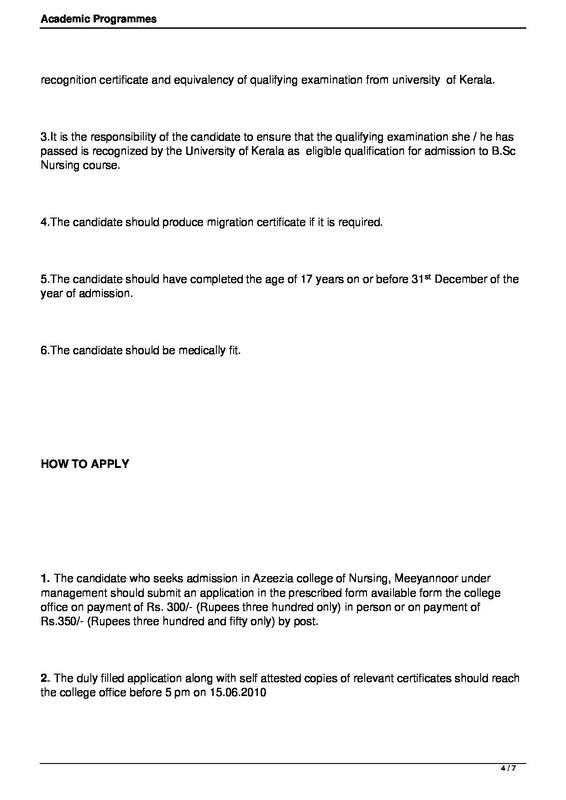 The Nursing College is stride towards providing the qualitative nursing education to its Students. The College faces challenges in providing quality care responds to changes in health care created by scientific and technological advances. 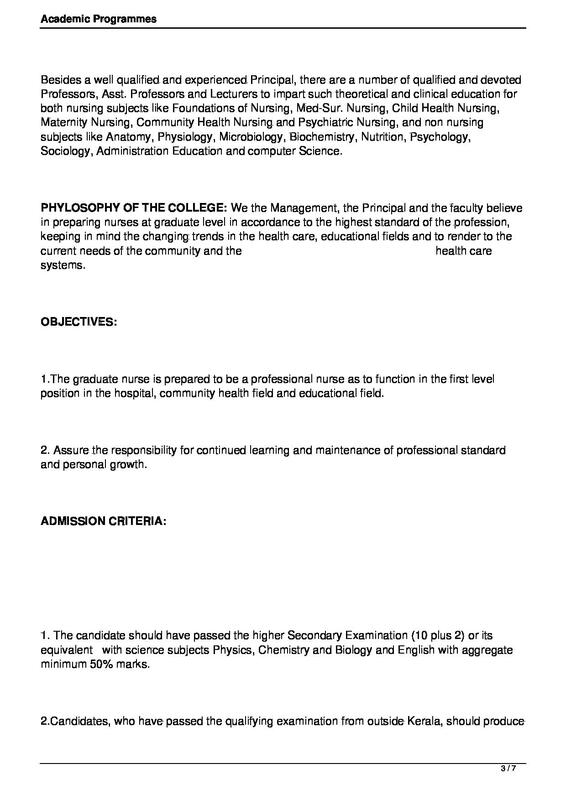 The College prepares skilled graduate Nurses focusing multi dimensional consumer rights. Well equipped laboratories- The College has fully furnished and equipped laboratories giving its students more of practical knowledge in the field of nursing. 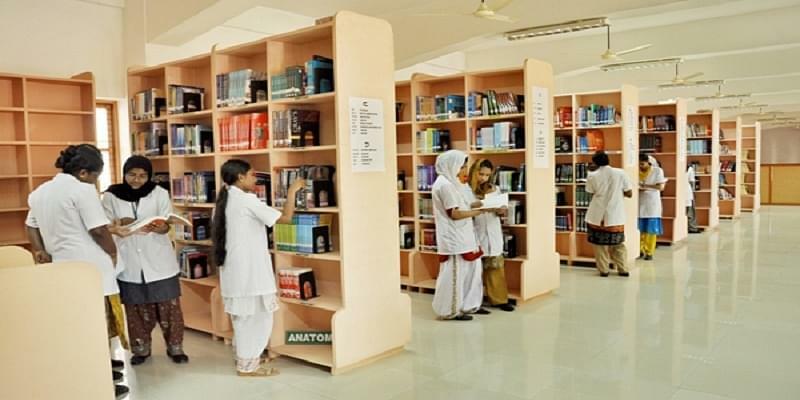 Highly qualified faculty- The College has number of qualified and experienced Professors, Asst. Professors and Lecturers to impart theoretical and clinical education for nursing subjects like Foundations of Nursing, Child Health Nursing, Med-Sur. 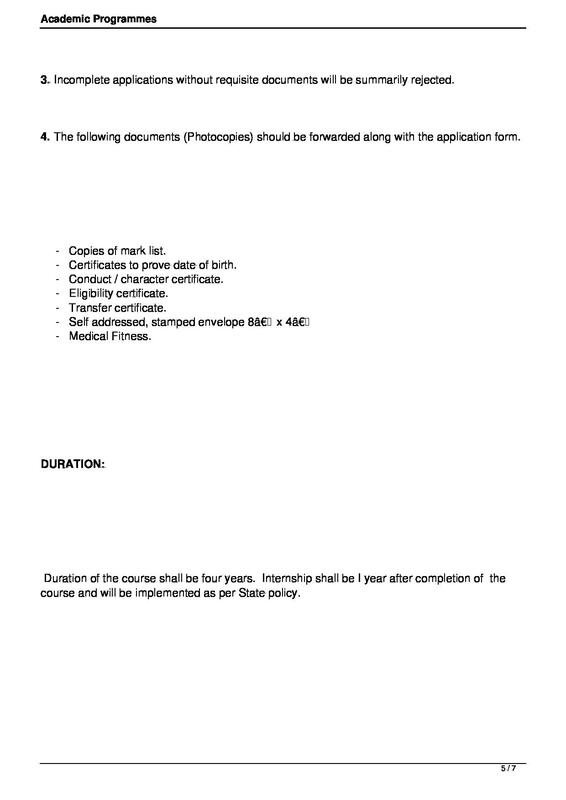 Nursing, Community Health Nursing, Maternity Nursing and many more, and non nursing subjects.